Are you looking for experienced, professional electrical contractors in Lakeland, FL? The engineers at Circuit Electric, Inc. have the experience and devices to supply solutions for various electrical contracting challenges. Utilizing the most up-to-date innovations in electrical layout design and Building Information Modeling (BIM), Circuit Electric Inc. is able to meet the client’s needs on a task. At Circuit Electric, we have a seasoned staff that understands exactly what it takes to complete a task effectively, on time, and within the budget plan. We take pride in our workmanship and strive to surpass the expectations of each and every client in Lakeland FL and around the nation. 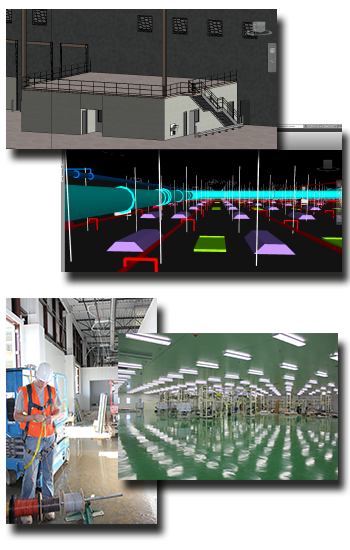 During the design stage of a project, CEI teams with Integrated Engineering, Inc. and the basic specialist to create electrical designs making use of 3D Building Information Modeling (BIM). Through the use of this modeling, our Lakeland FL electrical engineers accurately forecast how a building will work before breaking ground, leading to tasks remaining on schedule and within budget plan. With BIM, expensive rework and waste can be eliminated. Typically described as BIM, Building Information Modeling is the use of three-dimensional, intelligent design info. BIM is anticipated to drive the building industry towards a model-based procedure and slowly move the industry far from a 2D-based process (likewise to moving from manual preparing to computer aid design). Circuit Electric, Inc.’s client support does not end as soon as the electrical construction project is completed. Our Service Department is on call 24-hours a day, 365 days a year in Lakeland, FL for whatever electrical service troubles that might arise.